My name is Ahmad Amiruddin my friends called me Amma’ or Ahmad. I was born on July 1979 in Kampong Kadidi, Sidrap, South Sulawesi Indonesia. I am an engineer, a blogger, a manchester united fan and a father of a son and two daughters. I graduated from University of Hasanuddin in 2003 majoring in electrical engineering. From June 2004 to March 2007, I worked at PT LG Philips Displays Indonesia as Technical Engineer and Supervisor. My responsibilities were controlling the quality of the products by analysing and improving the electrical characteristics of Cathode Ray Tube (our product). Working in LG Philips was a very tough and hard experience in my life. After spending almost three years in LG, I got another opportunity to work at PT Schneider Electric Indonesia as Product Quality Engineer of manufacturing of Miniature Circuit Breaker (MCB). It was only 3 months I worked in Schneider before I moved to another company. On July 2007, I started working for PT Siemens Indonesia as a site manager. My responsibilities was managing the site of the SCADA project in Distribution Control Center (DCC) Jakarta. Sometimes I was also acting as a SCADA Engineer. I resigned from Siemens on December 2009. Siemens was a very wonderful and amazing working place. However, I have another dream which I would like to pursue, I want to study abroad and the easiest way to get the scholarship is by working for the government. I started worked for the Ministry Of Energy and Mineral Resources which regulates electricity business in Indonesia. In 2013, I got a chance to make my dream comes true. 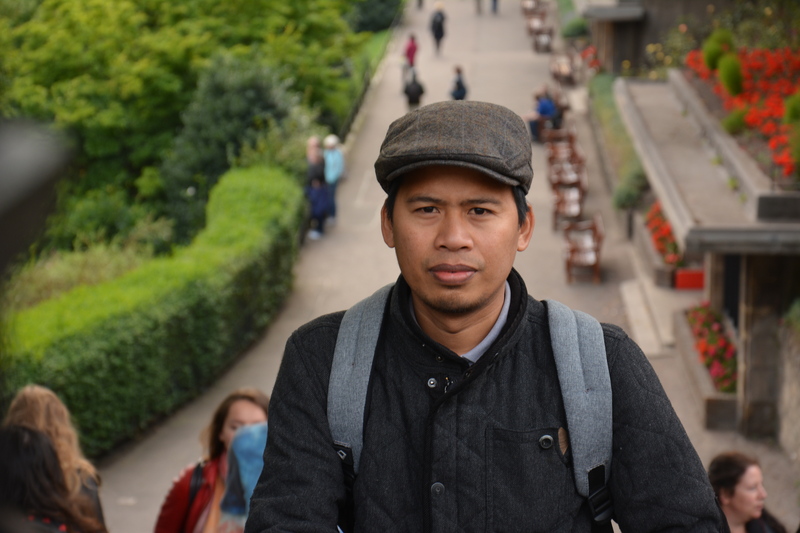 I got a scholarship from the Ministry of Communication and Information Technology (Kemkominfo) of Republic of Indonesia to continue my study in the one of best 20 universities in the world, the University of Edinburgh, UK. My programs was Sustainable Energy System. I have finished my study on September 2014. In this blog, I wrote many things about my experience in my life. I hope it would give a deeper insight and a broader horizon for all the readers, and the most important thing is I dont forget what I have done. would you pls help me to make blog like yours? how to put banner in your blog? gmana taruh banner pada blog? Wah, tinggal di Tangerang toh..
Salam daeng, apa kareba .. ..?? Alaikumsalam, pastimi kuingat cappo, baik2ji bos, aga kareba Kama? dimana sekarang? Kebetulan sy lagi di edinburg. Liat2 blog, ketemu blog anda dan dr nama blognya saya menebak dr bugis. Dan benar :-). Salam kenal, saya dr majene sulbar.